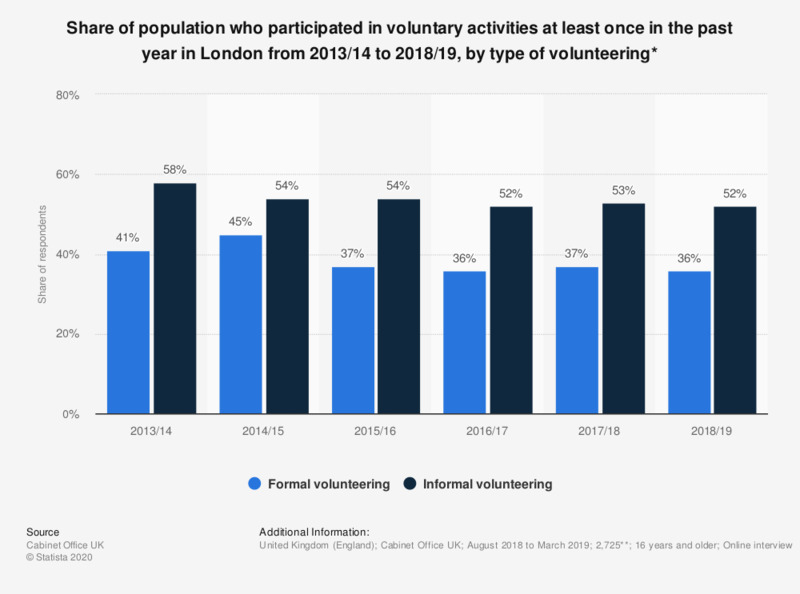 This statistic shows the share of the London (UK) population who said they participated in voluntary activities at least once in the last twelve months from 2013/14 to 2017/18, by type of volunteering. The most 'popular' year for volunteering was in 2014/15, and across all years more respondents participated in informal volunteering than formal. Everything On "Charities and volunteering in the United Kingdom (UK)" in One Document: Edited and Divided into Handy Chapters. Including Detailed References. What is your preferred volunteer commitment? Did you volunteer for a nonprofit organization in 2011?